Have you always imagined yourself on your wedding day in a strapless, flowing, embellished dress, with a 10 foot long train? But can’t afford the $10,000 price tag? 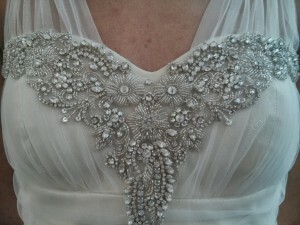 At Aleana’s Bridal we make any brides dream dress come to life. Custom-Made is not only our specialty, but it is also our passion. This is what Aleana’s Bridal is known for. What is the fascinating history behind couture? Couture is magic, art, and detail all wrapped in one. French dressmakers were the first that became known as the best needleworkers in Europe. At the beginning of the nineteenth-century women from France traveled to the beautiful city of Paris to shop for custom made clothing. They would personally consult the dressmaker, that would offer different styles of evening wear such as gowns, suits, and sleepwear that fit their body and their individual taste. If you are looking for a one of a kind gown for your special day then custom made is your best match. Aleana’s Bridal uses only the finest fabrics made out of silk, such as organza, chiffon, taffeta, georgette, and satin. The first step to our one-on-one process is to schedule a consultation; during this our talented designer will personally sit down with you to understand your vision. Through sketching our designer will offer you a few style options that better compliments your body type and enhance your beauty. Aleana’s Bridal has no limits when it comes to Custom- Made; from intricate beading, stunning European lace, to hand-embellished pieces. Our company does not just stop at bridal gowns we provide Custom-Made Mother of the Bride, Mother of the Groom dresses, veils, and jewelry to complete your overall look. Our prices are affordable and start at seventeen hundred and up. Mixing traditional techniques with modern and fresh ideas is one of our many trademarks. The pictures above show one of our beautiful brides who wanted an Elizabeth Taylor inspired wedding gown. 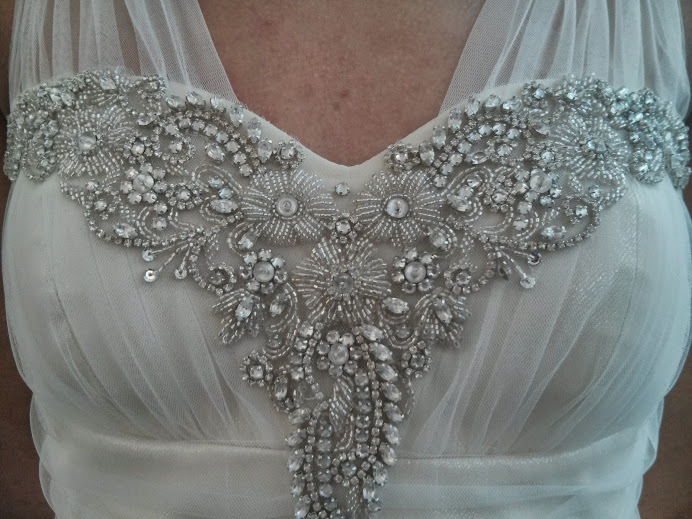 On the left-hand side, you see the personalized sketch of her embellished neckline. On the right side, you will see the final hand-done embroidery, using the finest materials. To perfect the design we create the mock-up that will be modified to achieve the best fit. Fabrics, colors, and embellishments will be finalized to meet your preference. Our goal is to make a dress that will elevate your elegance. 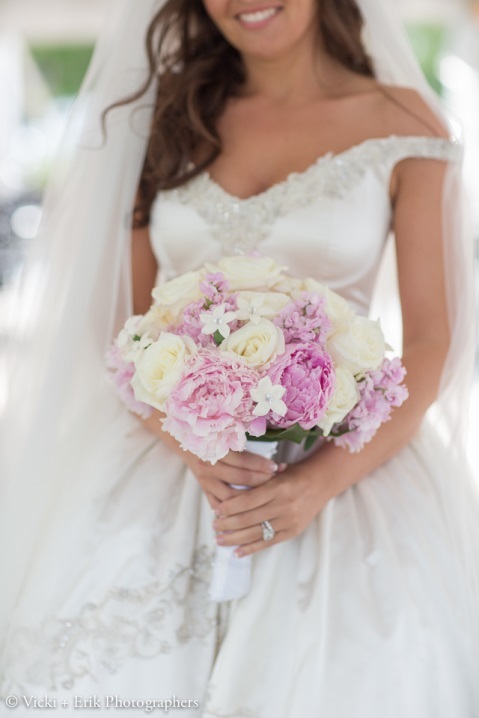 Aleana’s Bridal makes dreams come true; if you are looking for one of a kind gown for your special day, please call for a complimentary consultation 201-444-1500.